Adam Searle is the Leader of the Opposition in the NSW Legislative Council, Shadow Minister for Industry, Resources & Energy and Shadow Minister for Industrial Relations. Adam was born in Sydney and raised on the far north coast of NSW. He returned to Sydney to complete school and attended Sydney University. 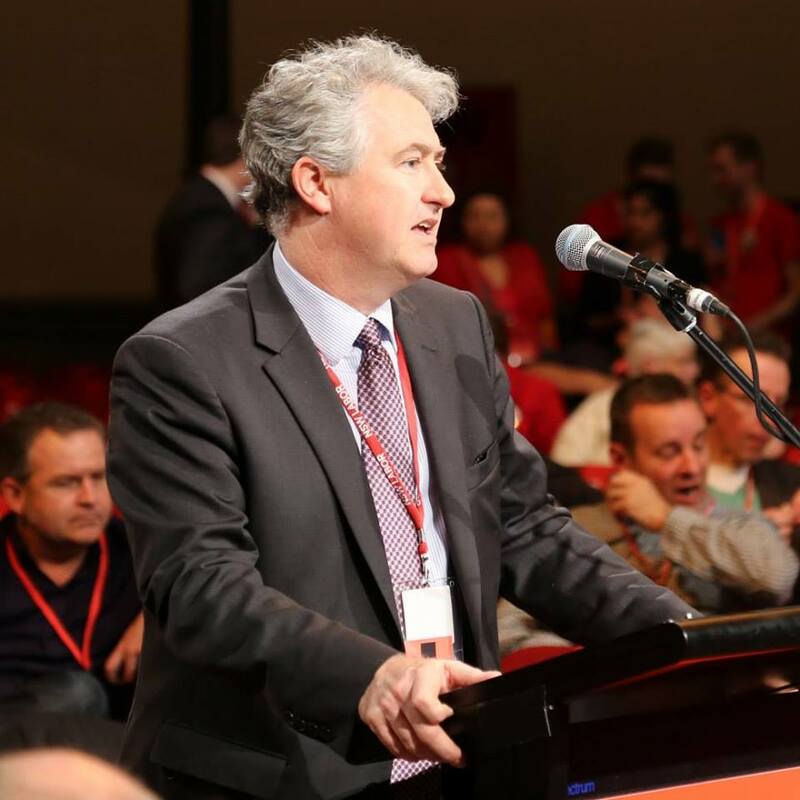 Adam joined the Australian Labor Party in 1985 and has been an active member since, holding various positions at branch and electorate council levels. He has frequently been a delegate to the NSW Annual Conference and in 2004 was a delegate to the National Conference. He served on Blue Mountains City Council from September 1999 and was Mayor from September 2008 until September 2010. In 2001, he was the Labor candidate for the federal electorate of Macquarie. Adam worked for NSW Labor in opposition from 1994-1995 and as Chief of Staff to NSW Attorney General and Minister for Industrial Relations, Jeff Shaw from 1995 to 2000. Adam worked on the Industrial Relations Act 1996, which was used as a model by other State Labor governments. He was also involved in significant law reform across a range of areas such as anti-discrimination, occupational health and safety and special laws for those suffering asbestos and related illnesses to ensure they receive quick and fair trials. In 2000, Adam commenced practicing law as a barrister in the areas of employment and industrial law and has been involved in a number of leading cases including the pay equity case for childcare workers. He was one of the expert panel of lawyers appointed by the NSW Government to examine the law relating to workplace deaths, which led to the enactment of legislation dealing specifically with workplace fatalities in 2005. Today, Adam is still a member of the NSW Bar Association and continues to practise as a barrister, providing pro bono legal advice and representation in public interest litigation, particularly matters involving claims for asylum. In May 2011, Adam was elected to the NSW Legislative Council to fill a casual vacancy caused by the resignation of former NSW Attorney General, John Hatzistergos. He was soon after elected Deputy Leader of the Labor Party in the Legislative Council and took on the role of Shadow Minister for Small Business and Industrial Relations prior to his current leadership and portfolio responsibilities. Adam lives in the Blue Mountains with his partner and their three children. Follow Adam on Facebook and Twitter. To read Adam’s inaugural speech to the NSW Parliament, click here.